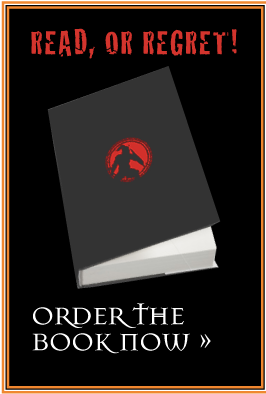 My bestselling manual will turn you into a mighty Dragon Slayer! Attack the evil monsters of temptation, fear, and defeat! Meet the Chief Dragon Slayer, and enter the Secret Order that NEEDS YOU NOW! After years of “hibernation” (they were only faking it), the DRAGONS STIR! Dragon breath befouls our atmosphere! Dragon rumblings shake the earth! Twelve training chapters guarantee your success as a Knight and Slayer! A Guide to Common and Notorious Dragon Species brings you face-to-face with the most revolting monsters! The Compendium of Senior Dragon Slayers of Old acquaints you with some of the greatest Slayers who have ever lived! AND IT’S ALL IN ONE BOOK!